We are not currently active, but feel free to learn about past campaigns or contact us! Feiern für's Klima or Partying for the climate! 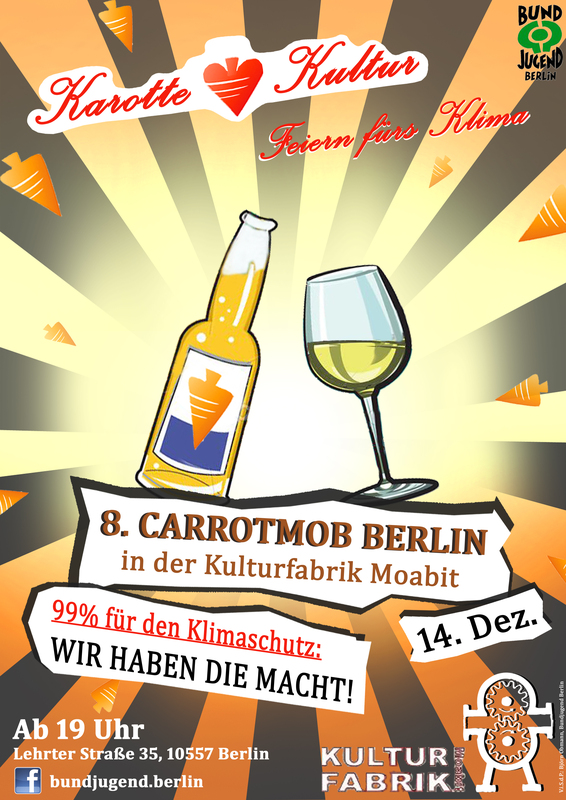 The BUNDjugend Berlin organizes a carrotmob in the Kulturfabrik Moabit. 99% of the profit of this particular day (14.12.2012) will be invested into new "green" refrigerators. There're going to be some DJ's and other surprises. So we have the power to change! Have ideas for Carrotmob? Experiencing problems on our site? Please use the form below. You can also reach us at: help@carrotmob.org. Your feedback is greatly appreciated. Happy mobbing! 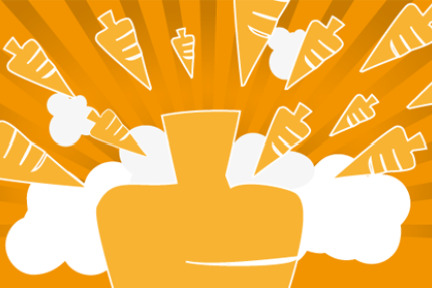 The fastest and easiest way to join Carrotmob is by connecting with your Facebook account. You will also be able see what your friends are doing on Carrotmob and quickly share some of your activities with your network. To learn more about how this works, read this. If you are curious about the permissions we're requesting of your Facebook account, read this. Clicking this button will NOT post anything to your Facebook wall.